Teachers attending the ZIPESTA workshop at Victoria Junior School. 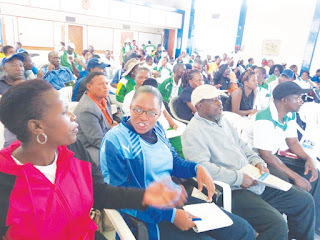 MASVINGO – The Zimbabwe Physical Education and Sport Teachers’ Association (ZIPESTA) has held a two-day workshop in Masvingo where members were taken through the interpretation of the new syllabus. The workshop was for teachers who teach Physical Education, Sport and Mass Displays (PESMD) which has become an examinable subject at O and A Level and is planned to be examined in Grade 7 in 2021. School heads also attended the workshop. The workshop which was held at Vic Junior Primary School in Masvingo also sought to build teamwork among ZIPESTA members so that they can co-operate more and share skills and ideas in the teaching of the new subject. The Overall pass rate for PESMD for Zimbabwe at O Level last year was 62% and it had one of the highest pass rates for any subject. St Anthony teacher Machingamidzwa Paul scored the highest pass rate in the country with 98%. More and more schools are now taking up the subject although lack of resources remains a big challenge for most. Fredrick Matavikwa who is the Physical Education, Sport and Mass Displays provincial inspector told teachers that it was batter for ZIPESTA to be a team rather than a group because through teamwork teachers will be able to support each other more with ideas skills and knowledge. “The support should be cluster to cluster, teacher to teacher and school to school. 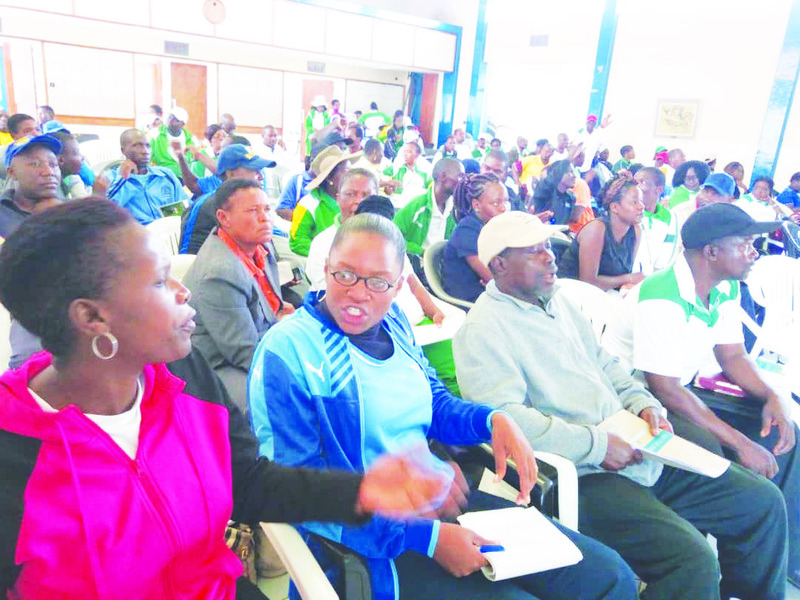 A school that has better skills in cricket must support one that has less skills in that area and one that has skills in soccer must support that which hasn’t,” says Matavikwa. ZIPESTA was formed in 2017 after the introduction of the competency-based curriculum by the then Minister of Primary and Secondary Education Dr Lazarus Dokora and Physical Education Sport and Mass Display became examinable. The new curriculum is based on the report of the Nziramasanga Commission on education. The plans are that this subject will be examinable at Grade 7 in 2021. The workshop also heard that PESMD has become a crucial subject at A Level where in a combination with others can lead student to a Degree in Medicine, Management and other areas. The subject at A Level can lead to a Degree in Sport Management, if one takes it as a combination with Business Management and Accounts. One can also pursue a degree in Medicine if one takes the subject with a combination of Biology and Maths or Chemistry and one can pursue a Degree in Sports Science and Technology if one takes it in combination with Maths and other Science subjects. The subject is also quite important in that it will help reduce the country’s health bill.